A famous tea drinker in China’s Tang Dynasty told tea had ten virtues: melting away depression, dissolving lethargy, encouraging liveliness, breaking up illness, bringing virtue and courtesy, expressing respect, making a distinction between different tastes, nurturing the body, practicing Dao, and improving one’s aspirations. “Tea brings Dao and elegance,” he was often heard saying. The tea culture reflects the oriental traditional culture, combining the tea with Tao wisdom, pronounced in Chinese as Dao, which is an integral part of the Chinese culture.The Dao of tea stresses the fact of being harmonious, quiet, optimistic and authentic. Peace of mind being the first step to get to tranquillity as a spiritual purpose in order to combine harmony and serenity. The idea is that as long as a person keeps quiet inside, she can always take advantage of the enjoyment of the conversation, of laughter, of the music and the opera. 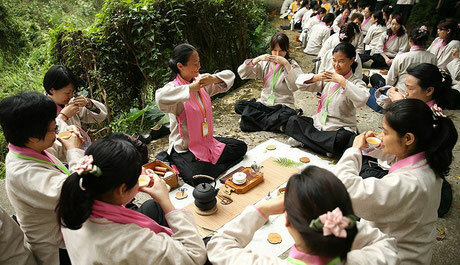 Creating a chinese tea is a good way to discover and experience different varieties of Chinese tea. 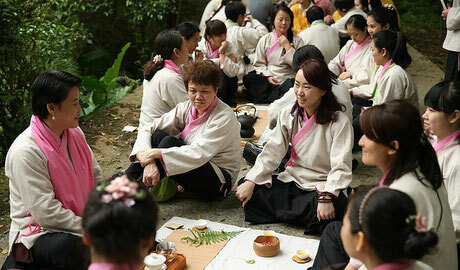 Chinese tea culture is a kind of intermediate culture which allows to pass on the spirit of the Chinese traditional culture to people in different places. for example, creating a tea tasting party to enjoy and taste wuyi rock teas; or enjoy top 10 Chinese famous teas, For your first tea tasting, it's helpful to include different types of tea. This way, you'll get to know the basic varieties. Once you've had an introductory tasting, it's fun to move on to a tasting featuring only one type of tea. 2,Consider where you'll hold the tea party. During the colder months, it will have to be indoors or in the morning room/conservatory. For warmer weather, the garden provides more opportunities, from the patio to the rose garden or herb patch. If you'd rather hold the party out of your house, try renting a room in a suitable clubhouse, hotel or restaurant, keeping an eye on your budget of course. Your choice of where to hold the tea party will also be determined by your ability to boil the water for tea (and keep it warm). If you hire a place, check that they'll do this for you, or provide a space for you to do it. Think about whether you'll need helpers; if you're hosting and serving, it can be a bit hectic. Friends or family may be willing to do some of the organizing and tea serving with you. Send out invitation, let guests know that this is a tea tasting party, and not just an ordinary tea party.If you would like to specify any special arrangements, such as dressing up, bringing anything, etc., add this to your invitation.Use your imagination for making the invitations. Anything from vintage postcards to teabags attached to a card will work well. 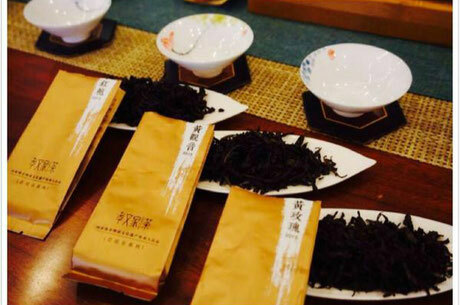 If the tea tasting party is not a family party, you can sell tea tasting party tickets to the public, promote your tea tasting party on social medias, such as Facebook, twitter and blog, to invite more Chinese tea lovers to join and to pass on spirit of Cha-Dao to more people. Use your best teacups where possible––fine bone china or high quality teacups are best. If you apply for hosting a chinese tea tasting party at our site (Chinateareview.com), we would provide a complete set of Chinese gongfu tea ceremony teawares. you do not waste time to choose teawares for tea tasting party. The type of tea that you'll use will depend on the theme (if you have one) or on your own preference. It does pay to be a bit daring and throw in some tea varieties that are new to you, as you may be surprised to discover new flavors that please you and your guests. Consider offering teas from various regions and kinds to make the party extra interesting. 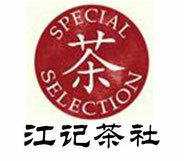 If you apply for hosting a chinese tea tasting party at our site (Chinateareview.com), it becomes very easy and simple. you just choose one theme from our Chinese tea tasting list. we have different themes, such as wuyi rock tea tasting party, Chinese famous teas tasting party, chinese black tea tasting party, Chinese yellow tea tasting party. Or you can make your own theme of tea tasting party, we would provide the teas according to your theme. 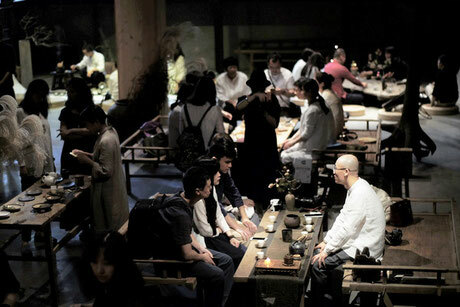 6,Organize the tea for tasting. Include a wide variety of tea, with a minimum of six tea varieties for tasting. Use tea leaves, not teabags for the best taste and impact. 7,Offer food and sweeteners for tea. 8,Hold a quick tea tasting class. instruct your guests on proper tea drinking etiquette. 9,Have guests rate the teas. Ask guests to rate the tea on small index cards. Help your guests describe the tea by providing questions on each index card such as, “what did the tea smell like, describe the color, how did the tea taste and did the smell and appearance match the flavor?” Hold a discussion at the end to see which teas rated the most highly.If you like, send guests home with sample packs of the teas that they tasted during the party. If you have the time, add some notes on the tea varieties to further their knowledge.